Two years ago today, this little service was launched. We started out with only 11 betas, but the service has since grown, and we have on average 15-20 betas on our roster. SusanQ and HollettLA have been with us since the very first day, and SleepyValentina, Marly580, LJSummers, TiffanyAnne3FF, and Wednesday Addams have been with us since the first six months of our service. All of the betas, old and new, have been an immense help in making EBS what it is today, and we want to thank them all for the time they have donated in the past two years. Last year, we celebrated by offering beta service for complete chapters or one-shots to three lucky individuals who used our service in the month before our anniversary. 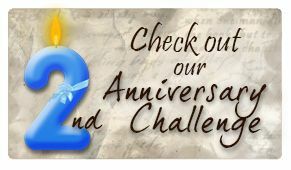 To celebrate our anniversary this year, we are hosting a small writing challenge.